John Skipper is joining UK-based Perform Group. 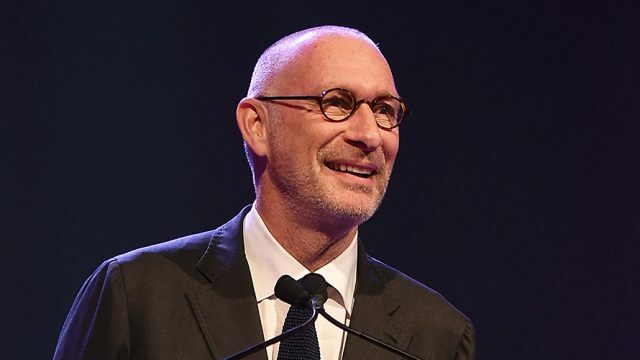 Former ESPN president John Skipper is back in the sports media game after a stunning exit from The Walt Disney Company last December. The sports television veteran has been named executive chairman of Perform Group, a global sports media company based in the UK. Skipper will be based in New York and will oversee all of Perform Group’s operations and strategy. Simon Denyer, Perform Group’s founder, will continue as CEO based in London. Perform Group operates publications including Sporting News and Goal. It also operates a digital streaming service called DAZN (pronounced “Da Zone”), which has international streaming partnerships with the NFL, the International Basketball Federation (FIBA), and the Women’s Tennis Association (WTA). “Simon and his team have built an enormously impressive company, providing an excellent base to establish a global leadership position in the over-the-top sports subscription business, the clear future of sports delivery,” Skipper said in a statement. While only available in Germany, Austria, Switzerland, Canada and Japan, DAZN plans to expand to major markets across the globe. There are few sports media executives with stronger experience in the OTT space than Skipper. He led ESPN through the development of ESPN+, The Walt Disney Company’s subscription-based direct-to-consumer sports platform, which launched last month. “Perform Group’s platform and expertise, coupled with its success in launching subscription services in Germany and Canada provides a model we intend to replicate around the world,” said Skipper. In March, Skipper opened up to The Hollywood Reporter about his sudden December 2017 exit from the company. He went into detail about his 27-year career, giving up “the best job in sports on the planet” because of a cocaine addiction, and a blackmail plot from his dealer.